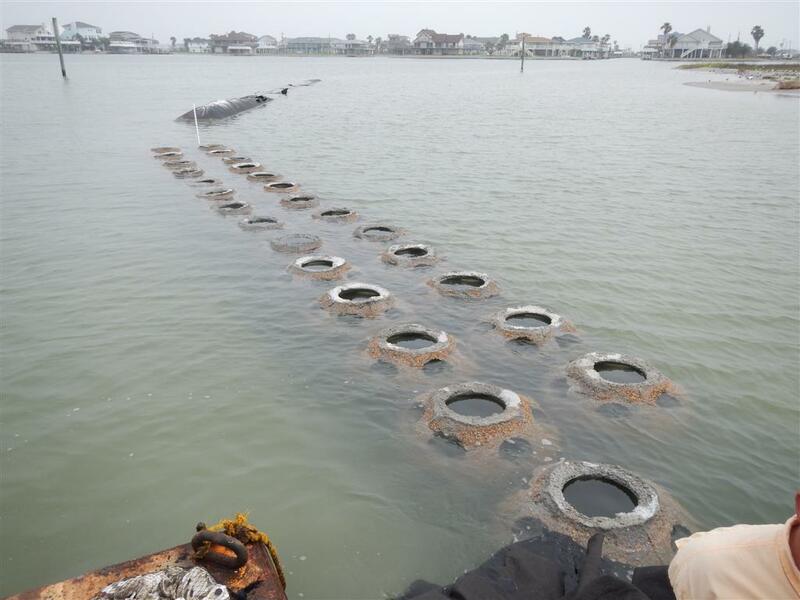 first phase 2000 ball breakwater by Kingfisher. 1150 ball breakwater by Goodlow. 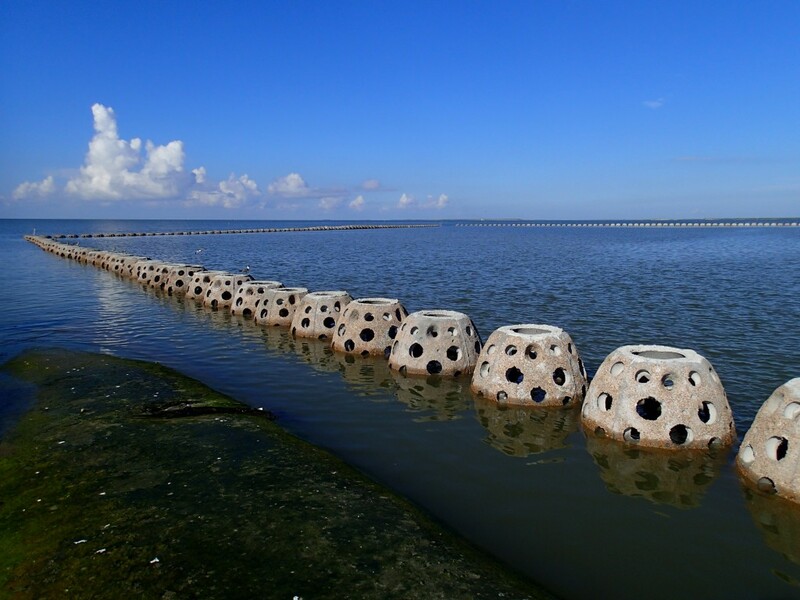 modules used for breakwater and oyster reef.